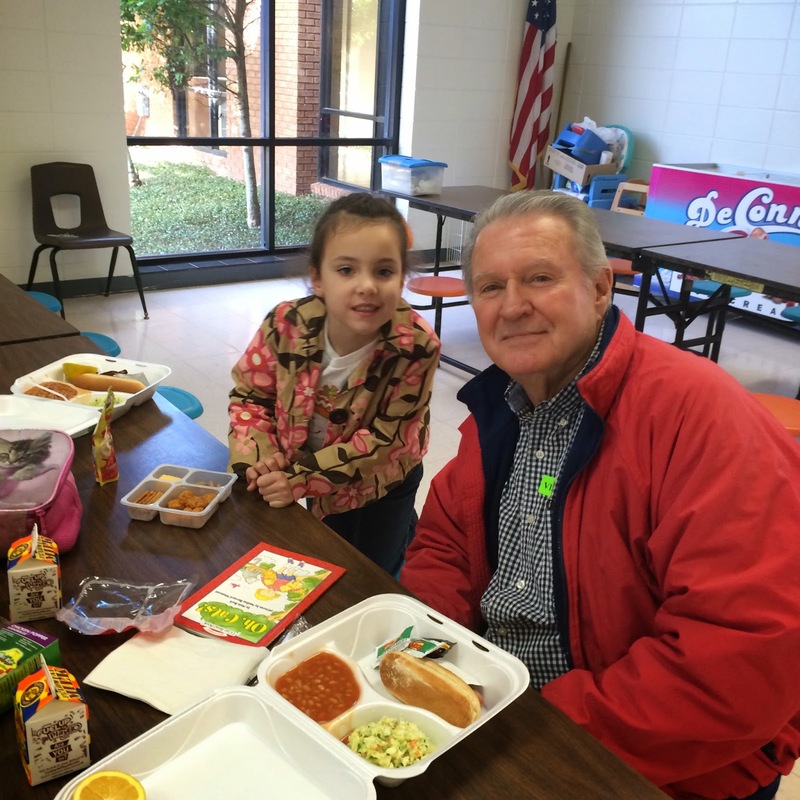 Since Matt went to eat lunch with LL at school back in September, all of the grandparents took a turn going to eat with her, too. 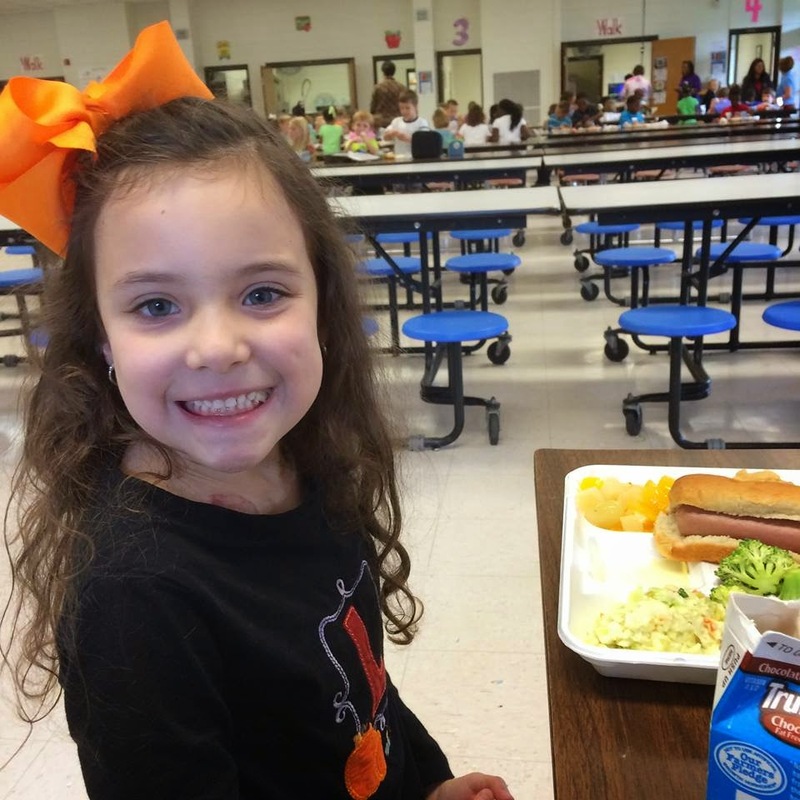 Every time that she knew someone was going to eat with her, she was so excited. It really did make her day. 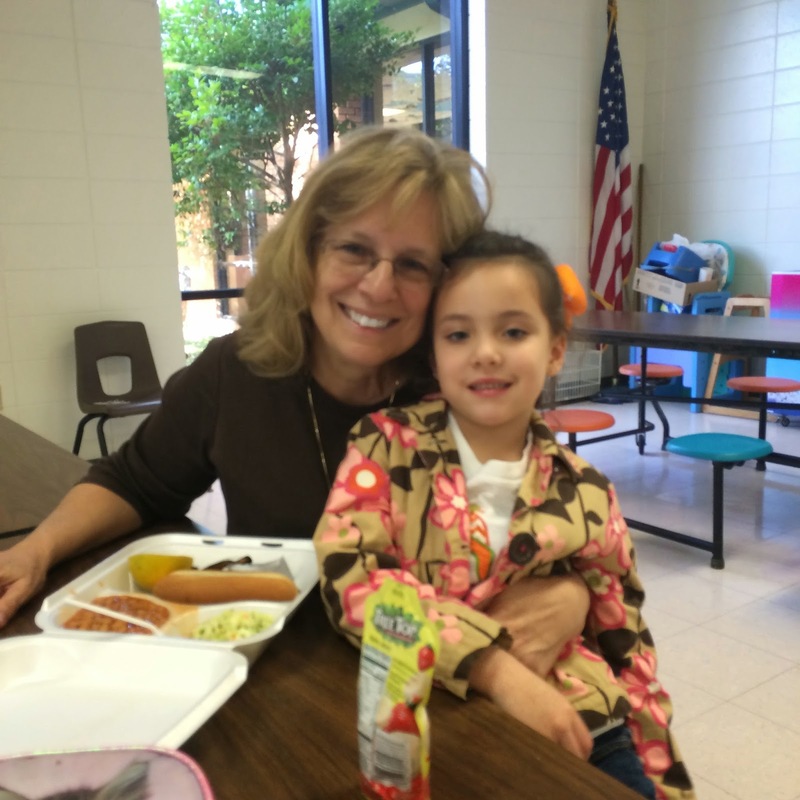 My goal is for someone to go eat with her once a month for the school year - and so far we're on the right track! Oma and Opa went to eat with her in October. The only picture they took was this one, so I don't have one with them actually in it. 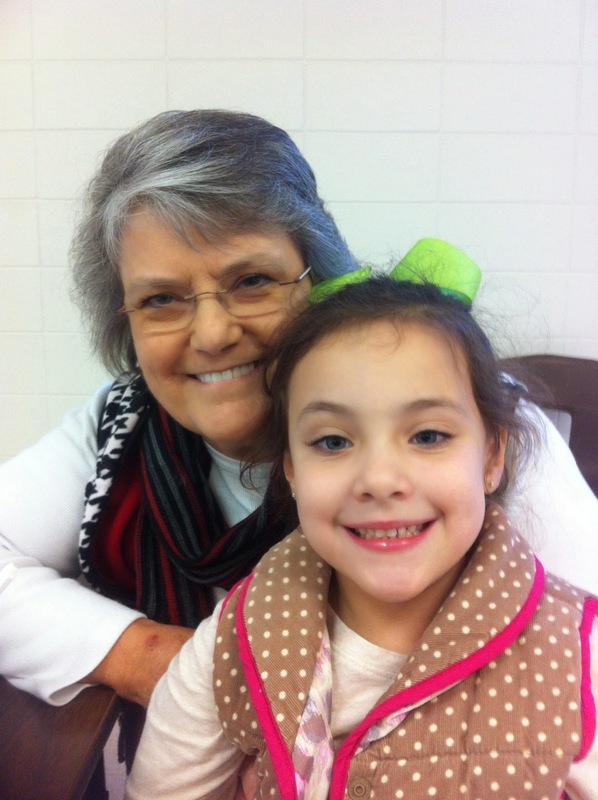 To finish out school before Christmas break, Gigi and Poppy went. They are the only ones to actually eat lunch with her. They bought a school lunch and said they very much would not be doing that again - haha. 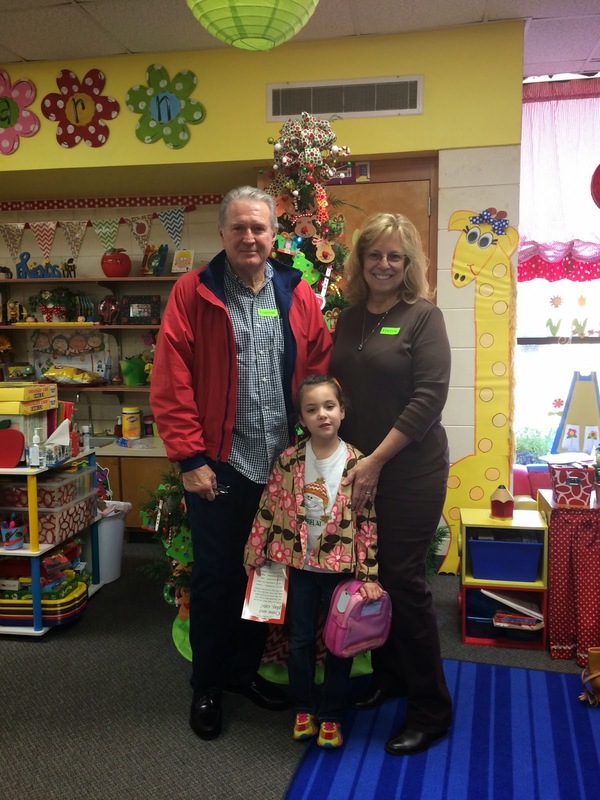 Gigi and Poppy got to check out the Christmas tree in her classroom! 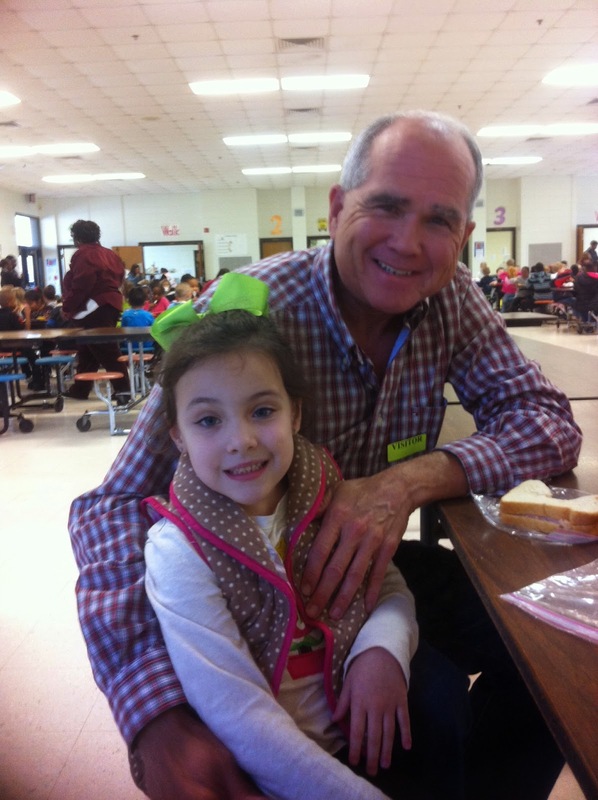 I am so happy that LL is blessed with such amazing grandparents who love her and want to spend time with her. All of them were very excited when it was their turn to go and eat with her, and I know that made her even more excited, too. Hopefully everyone will get to go one more time before school is out, and Mommy is going to try and get in a lunch visit, too!